Balangoda Ananda Maitreya Thero (Sinhala : අග්ග මහා පණ්ඩිත බලංගොඩ ආනන්ද මෛත්‍රෙය මහනාහිමි;23 August 1896 – 18 July 1998) was a Sri Lankan scholar Buddhist monk and a personality of Theravada Buddhism in the twentieth century. He was highly respected by Sri Lankan Buddhists, who believe that he achieved a higher level of spiritual development through meditation. Sri Lankan Buddhists also considered Balangoda Ananda Maitreya Thero as a Bodhisattva, who will attain Buddhahood in a future life. Theravāda is the most ancient branch of extant Buddhism today and the one that preserved their version of the teachings of Gautama Buddha in the Pāli Canon. The Pāli Canon is the only complete Buddhist canon which survives in a classical Indian language, Pāli, which serves as both sacred language and lingua franca of Theravāda Buddhism. For more than a millennium, Theravāda has focused on preserving the dhamma as preserved in its texts and it tends to be very conservative with regard to matters of doctrine and monastic discipline. Since the 19th century, meditation practice has been re-introduced and has become popular with a lay audience, both in traditional Theravada countries and in the west. The Sixth Buddhist Council was a general council of Theravada Buddhism, held in a specially built cave and pagoda complex at Kaba Aye Pagoda in Yangon, Burma. The council was attended by 2500 monastics from eight Theravada Buddhist countries. The Council lasted from Vesak 1954 to Vesak 1956, its completion coinciding with the traditional 2500th anniversary of the Gautama Buddha's Parinibbāna. In the tradition of past Buddhist councils, a major purpose of the Sixth Council was to preserve the Buddha's teachings and practices as understood in the Theravada tradition. Sangharaja is the title given in many Theravada Buddhist countries to a senior monk who is the titular head either of a monastic fraternity (nikaya), or of the Sangha throughout the country. This term is often rendered in English as 'Patriarch' or 'Supreme Patriarch'. Balangoda Ananda Maitreya Thero was born on 23 August 1896 in Kirindigala, Balangoda, to the family of N. A. Mathises Appuhamy (Maddumahamy) and B. Heenmanike. His birth name was Punchi Mahattaya aka William. Because Punchi Mahattaya's mother died when he was 14 days old, he was brought up by his father's brother and his wife. Punchi Mahattaya had his primary education at Kumara Vidyalaya, Balangoda. Appuhamy or Appuhami from Appoe (Gentleman) and Hamie (Lord)(Hamie is a derivation of Sanskrit word Swami) is a Sinhala surname or a given name used in Sri Lanka (Ceylon). It is also a term used for Dugaganna Rala of Kandyan era kings. A bhikkhu is an ordained male monastic ("monk") in Buddhism. 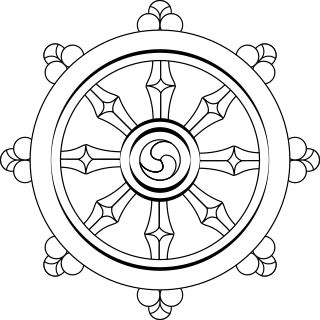 Male and female monastics are members of the Buddhist community. A sāmaṇera (Pali); Sanskrit śrāmaṇera, is a novice male monastic in a Buddhist context. A female novice is a śrāmaṇerī or śrāmaṇerikā. Upasampadā (Pali) literally denotes "approaching or nearing the ascetic tradition." In more common parlance it specifically refers to the rite and ritual of ascetic vetting (ordination) by which a candidate, if deemed acceptable, enters the community as upasampadān (ordained) and authorised to undertake ascetic life. Thero continued his studies after becoming a monk and later became a scholar in Buddhism and languages. Thero entered Ananda College, Colombo in 1919 and became a teacher of the same school in 1922. Unusually for a Theravada teacher, he publicly studied some other traditions, such as Mahayana Buddhism, mantra and esoteric yoga. This is understandable when one realizes that he was a theosophist as well as a Buddhist. He was a self learner in most of his areas of studies. Ananda College is a national school for boys, with a student population exceeding 8,000 across 13 grades from primary to secondary classes, on a campus of 10 acres (40,000 m2) in Maradana, Colombo. The College was incepted as a result of the Sri Lankan Buddhist Renaissance which took place in the late 19th century. It was established on November 1, 1886, by the Buddhist Theosophical Society led by Colonel Henry Steel Olcott and became a government school in 1961. As of 2018 an academic staff of more than 300 was led by Mr. S.M. Keerthiratne. It was originally formed as a Sunday school. Dean is a title employed in In academic administrations such as colleges or universities for a person with significant authority over a specific academic unit, over a specific area of concern, or both. Deans are common in private preparatory schools, and occasionally found in middle schools and high schools as well. Ananda Maithreya Thero's first overseas Dhamma journey was to Kerala, India in 1926. He opened the Sri Dhammananda Pirivena, Colombo in 1930. On 18 January 1954, Thero was appointed to the post of Sangha Nayaka of Sabaragamu-Saddhammawansa Nikaya and in the same year he participated in the Sixth Buddhist council held in Myanmar. On 2 September 1969, Ananda Maitreya Thero was appointed as the President of Amarapura Sangha Sabhā of Sri Lanka. Ananda Maitreya Thero was famous for his achievements in Buddhist meditation. He was known to have practiced both Samatha meditation and Vipassana meditation to a great extent and was considered to be having a highly developed mind through his meditation. Many Buddhists have experienced his powerful spiritual blessings in many more ways than one. His teachings and life have been an inspiration to many aspiring monks and lay followers. In 1955, the Government of Myanmar (then Burma) conferred him the title "Agga Maha Pandita" (Great Chief Scholar) to honour his unprecedented service at the Sixth Buddhist council. To honor his unique service to the Buddha Śāsana, Myanmar also conferred him the highest Sangha title, "Abhidhaja Maharatthaguru" (Most Eminent Great Spiritual Teacher), which is equivalent to Sangharaja in 1997. Ananda Maithreya Thero received the "Thripitaka Vaagishwaracharya Pravachana Visharada Raajakeeya Panditha" honours degree from the Government of Sri Lanka. In addition to that, Nayaka Thero has received two honorary titles, "Saahithyasuuri" from Vidyodaya University and "Saahithya Chakrawarthi" from Vidyalankara University. The humbleness of Maha Nayaka Thero's character is clearly shown, when he publicly stated that he had no liking whatsoever for titles and awards, but that he was rather accepting it to satisfy the presenter. He quoted Lord Buddha in his speech saying "I often remind myself of My Great Buddha's preaching in the Sanyuktha nikaya of the Abhidhamma Pitaka of the worthlessness and futileness of the craving for awards, titles and commanding positions". Ananda Maitreya Thero wrote nearly fifty books on sutras (scripture), vinaya (monastic discipline), on abhidhamma (metaphysics), and on Pali and Sanskrit grammar. His book, Sakyasimhavadanaya hevat Buddha Charita (The Life of the Buddha), is considered as a textbook. Most of his books are written in English and Sinhala languages. Ananda Maitreya Thero translation of the Dhammapada is published internationally. Ramanna Nikaya is one of the three major Buddhist orders in Sri Lanka. It was founded in 1864 when Ambagahawatte Saranankara, returned to Sri Lanka after being ordained by the Neyyadhamma Munivara Sangharaja of Ratnapunna Vihara in Burma. It is one of three Sri Lankan orthodox Buddhist orders, along with Siam Nikaya and Amarapura Nikaya. Walpola Rahula Thero (1907–1997) was a Sri Lankan Buddhist monk, scholar and writer. In 1964, he became the Professor of History and Religions at Northwestern University, thus becoming the first bhikkhu to hold a professorial chair in the Western world. He also once held the position of Vice-Chancellor at the then Vidyodaya University. He has written extensively about Buddhism in English, French and Sinhalese. He wrote the book What the Buddha Taught about Theravada Buddhism. The SiamNikaya is a monastic order within Sri Lanka, founded by Upali Thera and located predominantly around the city of Kandy. It is so named because it originated within Thailand. The Siyam Nikaya has two major divisions and five other divisions within these two major units. 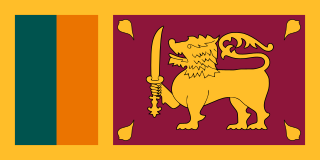 The Malwatta and Asgiriya chapters have two separate Maha Nayakas or chief Monks. Maitreya is the future Buddha in Buddhist eschatology. The Amarapura Nikaya is a Sri Lankan monastic fraternity founded in 1800. It is named after the city of Amarapura, Burma, the capital of the Konbaung Dynasty of Burma at that time. Amarapura Nikaya monks are Theravada Buddhists. Bhikkhu Bodhi, born Jeffrey Block, is an American Theravada Buddhist monk, ordained in Sri Lanka and currently teaching in the New York and New Jersey area. He was appointed the second president of the Buddhist Publication Society and has edited and authored several publications grounded in the Theravada Buddhist tradition. Piyadassi Maha Thera is best known as a great preacher of the Dhamma both in Sinhala and in English and it was in this field that his popularity was foremost. He was born on 8 July 1914 at Kotahena in Colombo, Sri Lanka and was educated at Nalanda College, Colombo, thereafter at the University of Sri Lanka and the Center for the Study of World Religions at Harvard University as a research student. Madihe Pannaseeha Thero was an eminent Sri Lankan Buddhist monk, who was the Mahanayaka of Amarapura sect from July 13, 1969 until his death on September 9, 2003. The Nissarana Vanaya Meditation System was developed by Matara Sri Ñāṇārāma Mahathera, a highly respected senior meditation master of Sri Lanka and the first Upajjhaya of Sri Kalyani Yogasrama Samstha. This Buddhist meditation system uses samatha and vipassanā techniques in combination to allow what it claims are more intense insight results than ‘dry insight’ meditation. It was refined over decades by the head monks of the Nissarana Vanaya. Aggamahāpaṇḍita is an honorific Burmese Buddhist title conferred by the Burmese government to distinguished Theravada Buddhist monks. Ven Bogoda Seelawimala Nayaka Thera is the incumbent Head Priest of the London Buddhist Vihara and the current Chief Sangha Nayaka of Great Britain. He was appointed Chief Bhikkhu of the London Buddhist Vihara on 8 May 2008 following the demise of Ven Dr Medagama Vajiragnana Nayaka Thera. Ven Seelawimala Nayaka Thera hails from the Malwatte Chapter of the Siam Nikaya in Sri Lanka. Rajguru Aggavamsa Mahathera was one of the delegates from East Pakistan in the Sixth Buddhist council held in Yangon, Burma in 1956. The Venerable Ambalangoda Polwatte Buddhadatta Mahanayake Thera (1887–1962) was a Theravada Buddhist monk and a professor of Buddhist philosophy at Vidyalankara University. During 1928 he travelled to Switzerland to teach Pāli but found no suitable students. The Most Venerable Wewaldeniye Medhalankara Thero was a Sri Lankan Buddhist monk who was the 12th Maha Nayaka of Ramanna Nikaya and the chief incumbent of the Shasanawardhana Pirivena, Mirigama. Following his demise, he was succeeded by Most Ven. Napana Pemasiri Thera as the Maha Nayaka of Ramanna Nikaya. Bodagama Chandima was born on 3 February 1957 at Thanamalwila in southern Sri Lanka. As of 2015 he taught Theravada Buddhism in Taiwan. With a group of Taiwanese Buddhists, he founded the Theravada Samadhi Education Association in Taipei. Mahanayaka theros are high-ranking Buddhist monks who oversees and regulates the Buddhist clergy in Theravada Buddhist countries. The title Maha Nayaka translates to English as 'Great Leader' and it is considered to be a very important position held by a monk in a Theravada Buddhist country. It is usually bestowed upon the senior Buddhist monks who are appointed as the chief prelates of monastic fraternities known as Nikayas. Udugama Sri Buddharakkitha Thero was a Sri Lankan Buddhist monk, who was the 20th Mahanayaka of the Asgiriya chapter of Siyam Nikaya. He was presented with the religious title of Agga Maha Pandita by the government of Myanmar on March 7, 2007, in recognition of his contribution to the purification, perpetuation and propagation of Buddhism. His complete title was Most Venerable Agga Maha Panditha Udugama Sddharmakirthi Sri Dhammadassi Rathanapala Buddharakkhithabhidhana Mahanayaka Thero. Harispattuwe Ariyawanshalankara thero was a Buddhist monk in Sri Lanka. He was popular as a pious monk who had delivered great service to both Buddhism and society in Sri Lanka. Sri Lankan Forest Monks' Tradition claims a long history. As the oldest Theravada Buddhist country in the world, several forest traditions and lineages had been existed, disappeared and re-emerged circularly in Sri Lanka. The current forest traditions and lineages in Sri Lanka have been influenced by the Thai and Burmese traditions which descend from the ancient jambudeepa (Indian) and Seehaladeepa traditions. ↑ "Religious and Cultural Relations". Aggamaha Panditha Awardees. Embassy of Myanmar Sri Lanka. Archived from the original on 10 December 2013. Retrieved 15 February 2014. 1 2 3 4 5 Fernando, Thilak (1994-09-24). "Face to face with late Ven. Aggamaha Panditha Balangoda Ananda Maitreya Thero". The Island - Saturday Magazine. Retrieved 2010-05-04. 1 2 "Ven. Balangoda Ananda Maitreya: A Personal Appreciation". Ven. Bhikkhu Bodhi. 2009. Archived from the original on 29 April 2010. Retrieved 2010-05-30. ↑ "Famous People and the impact of the Theosophical Society". Katinka Hesselink. Archived from the original on 25 April 2010. Retrieved 28 March 2010. 1 2 3 4 5 6 Wijenayake, Walter (17 July 2010). "Most Ven. Balangoda Ananda Maithreya thera". Sri Lanka Guardian. Archived from the original on 16 August 2010. Retrieved 2010-08-19. ↑ "Ajivatthamaka Sila (Eight Precepts with Right Livelihood as the Eighth) in Burmese Buddhism". Buddhist Group of Kendal. 2015. 1 2 3 4 Yodhasinghe, Lionel (1998-07-20). "State Funeral for Ven. Ananda Maitreya" (in Sinhala). Daily News. Retrieved 2008-09-06.